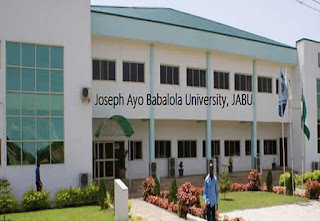 THE Acting Vice-Chancellor of Joseph Ayo Babalola University, (JABU) Prof Theophilus Olowokure, on Monday, called the Federal Government to stop further approval of private universities in the country, saying it is not helping the standard of education in Nigeria. Olowokure who stated this during a press conference to herald the 9th Convocation ceremony of the institution, said apart from affecting the development of education negatively, he noted that it is dangerous for the future of Nigeria’s education. The VC noted that private universities in the country are facing serious survival challenges, but advised the Federal Government to allow the existing private universities to stabilise and achieve their purposes before granting licensing the establishment of private universities. According to him, many of true existing private institutions lacked the required infrastructure saying private universities in the country are facing serious survival challenges while most of them have failed to meet their annual admission quota. He noted that most of these private universities charged high fees charged in while government continues to approve new private ones. “The continual approval of new private universities, on the assumption that there are more students seeking admission has the effects of increasing the total admission capacities of private universities and decline in admission to popular programmes in existing private universities. “Parents who can afford the private universities’ fees are very few because of the level of poverty in the country,” he said. He, however, said, “Unless fees in public universities move closer to those in private universities or there is a phenomenal increase in the average income of the population, the admission problem will remain with us for many years. “The high frequency which is necessitated by the need to cover high overhead costs has the effect of making parents of prospective students and their wards shun private universities in preference for public universities that charge relatively low fees.